We hope that you will take a few minutes to share your thoughts with us. As the new year begins, we are planning for what we will bring you next year. 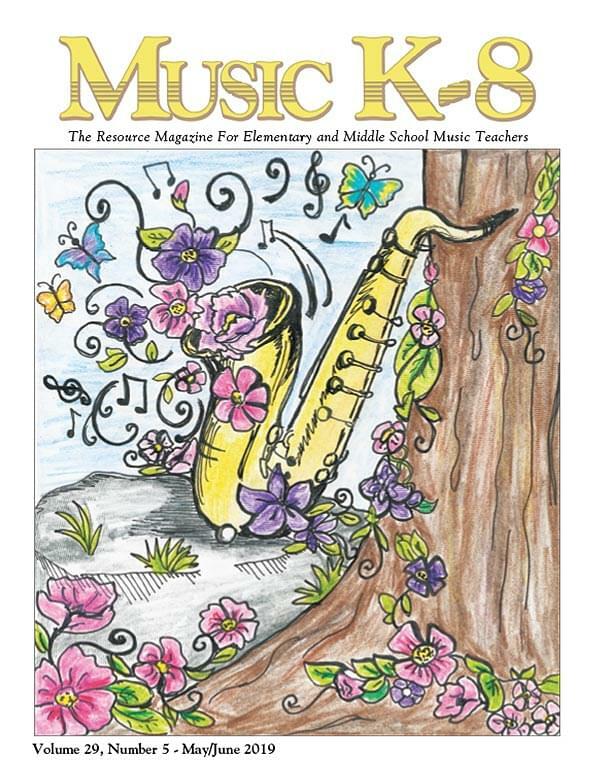 Your input will help us best design Music K-8 with you in mind. Your answers will be held in confidence, and you can be sure that we will read and study everything you tell us. Thanks for your time and support. In how many schools do you teach? How many students do you teach all together? What are your favorite songs from Music K-8 - this year, any year, any issue? Is there a particular song or type of song you would like to see next year? Do you use the reproducible Lyric Pages provided in the magazine? Did you perform the all-school revue It's Showtime! this year? What subjects would you like to see covered in future revues? Every year we release more and more of our songs as budget-sensitive Singles Reproducible Kits. Soon we will have more than a thousand. Each kit has all you will need to perform the song with your students, including the right to reproduce the student edition of the tune as many times as you need to, at no extra charge. To better serve you with this format, please answer a few questions below. Have you used our Singles Kits? If "Yes," approximately how many do you have? Have you used our Downloadable Singles Kits? These are now our most popular format for single songs. How would you like to see them changed? This year we offered a wide variety of resources for you, our subscribers. We hope you will give us some feedback on them. Movement/Choreography Videos – Did you use any of the movement/choreography videos we created featuring the work of Melissa Schott? Craft Projects – Have you used any of our complementary craft projects/video tutorials? Comments on the craft projects? Downloadable Subscriptions – Did you subscribe to one of the downloadable editions for Vol. 28? Do you have suggestions for new features or improvements to our web presence? In general, how else can we make Music K-8 more usable for you next year?